Day 1 – UK – Kruja. After landing at Tirana Airport, we will meet our Solos Tour Leader and local guide and transfer to the beautiful old town of Kruja. 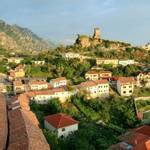 We will have a short visit of Kruja visiting the Ethnographic museum, castle, Scanderberg museum and the old bazaar. Enjoy a short briefing about our holiday and dinner at the hotel tonight. Overnight Kruja (D). Day 2 – Kruja – Koman – Valbona. After breakfast we start our journey towards Valbona National Park. During this trip we sail along Koman Lake, which traces the beautiful Albanian Alps and is renowned as one of the most wonderful journeys in the country. After arriving in Valbona we can either relax at our hotel or go on a short walk to explore our surroundings. The National Park of “Lugina e Valbones” is known as the gem of the Albanian Alps, it lies between the rugged, remote and breath-taking mountain peaks and offers a huge range of biodiversity and is consequently of significant scientific interest. 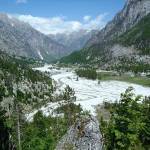 Overnight Valbona (B, D). 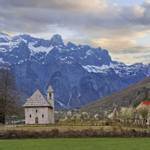 Day 3 – Valbona – Kukaj – Valbona. Today we explore the Kukaj valley located North West of Valbona and offers fantastic views of the surrounding mountains. On our walk today we may be lucky enough to spot some signs of bears (such as fur and claw marks). Overnight Valbona (B, L, D). Day 4 – Valbone – Theth. Today we don our hiking boots and walk some of the most spectacular trails of the Albanian Alps, crossing the valley of Valbona and the Valley of Theth. We will take a path which commands fantastic views of the surrounding mountains including the Jezerca peak. From here, we will being our ascent into Theth, which is known as the best-preserved alpine village in Albania. Its typical houses are still covered with traditional wooden tiles and its location is truly spectacular. Overnight Theth (B, L, D). Day 5 – Theth. After breakfast, we can enjoy a guided tour of Theth. 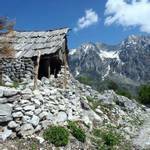 We will visit the church, the Kulla e Ngujimit (a tower house refuge) and the Grunasi canyon. 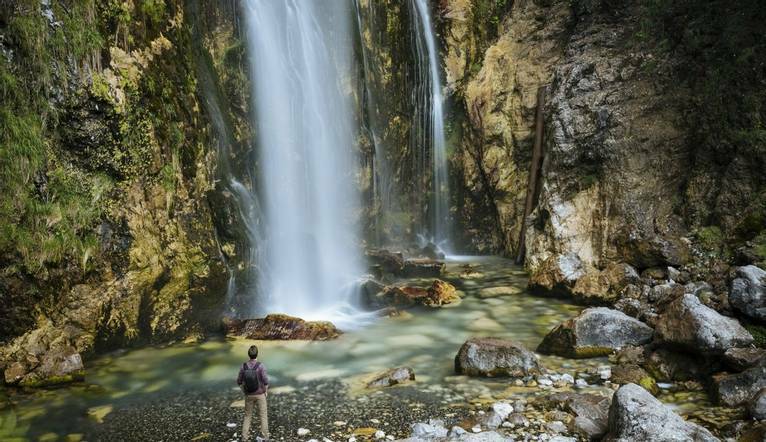 Later we can enjoy a walk in Theth National Park which lies in the centre of the Albanian Alps, attractions include an unusual and beautiful church built in 1882, spectacular waterfalls, a working watermill (which is still used to grind corn) and an ethnographic museum. Overnight Theth (B, L, D). Day 6 – Theth. Today we will spend hiking to the peak of Peja (approx. 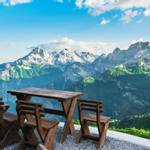 1900m), one of the most beautiful hiking trails of the Albanian Alps. 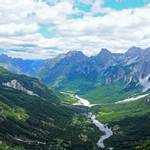 The higher we climb, the more attractive the landscape and the views over the valley. Overnight Theth (B, L, D). 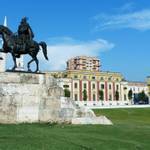 Day 7 – Theth – Fishte – Tirana. Day 7 – Theth – Fishte – Tirana. After breakfast we leave the Alps and head to the village of Fishta, the birthplace of the most famous Albanian Franciscan, poet of the national renaissance and translator – Gjergj Fishta. We will enjoy lunch at a local restaurant and visit a local pottery and farm. After lunch, we continue on to the vibrant and colourful capital Tirana, this former communist city has undergone a magnificent transformation in recent years and is an up-and-coming destination for many travellers. Overnight Tirana (B, L, D). Albania offers a remarkable array of unique attractions, ancient mountains, forgotten archaeological sites and villages where time seems to have stood still. Known as the land of smiles, Albanians are proud of their strong traditions and stunning scenery including the magnificent Accursed Mountains and bustling capital Tirana. But hurry, as the word is well and truly out!